There's a reason this list looks familiar; these are heavy hitting indirect spend categories that all firms, public and private, need to build a solid strategy around. So what can private firms do to better categorize spend in their own houses? Begin by breaking down the types of spend you will need to capture. Indirect spend encompasses everything not directly related to producing your products or services. The federal government’s hit list is a good place to start, touching some major categories – IT, telecom, administrative services, facility management, and logistics are often top contenders for spend volume. Just as Anne Rung and Tom Sharpe recognize, visibility across a company can be murky and decentralized when it comes to indirect spend. Therefore, identifying sources of spend data is critical. A general ledger (GL) is a good place to start for high level information. Although they are often a good starting point for a 30,000 foot view, keep in mind that general ledgers will often categorize spend too broadly and will rarely have the details you need to proceed. It is important to do your own classification of this data, breaking overarching ledger categories into more specific groups. Once this is done, it is time for some investigative digging for specific spend information. This often means rooting through supplier contracts and invoices for the added details they provide. Bring in some specialized help during this process – early on, members of the Finance and IT departments are often the key to wrangling decentralized data sources. This intel gathering process must be monitored directly. Cleansing and standardizing sources of information as they come in is necessary to ensure that you are capturing the true image of spend in each category. Once you have clearly defined spend categories, it is time to rank them in terms of priority. Which categories have the most spend? Where can procurement have the greatest impact quickly? Which area has stakeholders that would be most willing to partner with Procurement moving forward? These are all critical questions that will help determine which areas to focus your efforts on first. In order to truly take hold of indirect spend, Procurement must first understand the overall impact it has on an organization. With these steps complete, you will have a much more accurate picture of indirect spend across all key categories, and are in a better position to develop a strategy to address it. For a more detailed look at why categorization is important and the part it plays in developing an actionable spend analysis, check out our sample report here. This article states that the private sector can learn from the public sector. 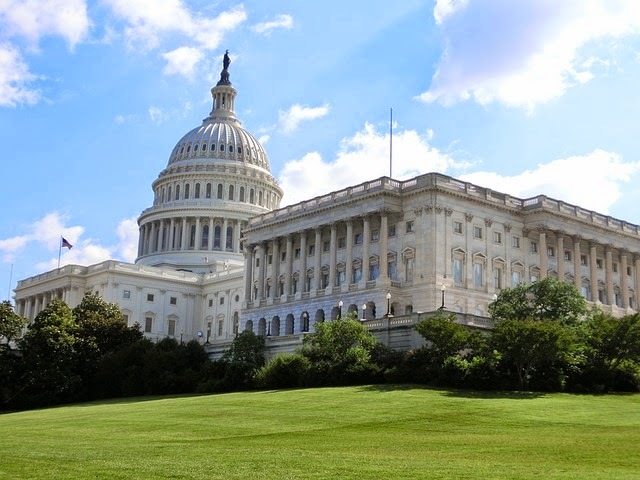 While Category Management and Strategic Sourcing are recognized to "bring clarity and coordination to the disparate set of buyers and suppliers," it should be recognized that the Federal Government is not IBM. There are challenges when implementing Category Management Strategic Sourcing in Federal and State government procurement. It is clear that Strategic Sourcing has been used most effectively in the private sector. Larger companies often leverage their vast buying power to control the supply chain and negotiate decreased costs. But while Strategic Sourcing has worked in the private sector, there should be a note of caution when the Strategic Sourcing Leveraged Buying Protocol is applied in the government sector. The private sector does not have the same socio-economic responsibilities to small business and U.S. economic growth as the public sector. Strategic Sourcing has mostly been used in the private sector to derive savings when purchasing goods and services from vendors. In this program, the private sector leveraged buying by seeking the lowest price through volume discounts and other procedures that saved them money, at the risk of shrinking their base of vendors with whom they previously conducted business. The problem with Strategic Sourcing when applied to the public sector is that the government cannot share the same indifference to the plight of the people who lost business because a business that suffers financial distress and forces the loss of employee jobs will negatively impact the economy as a whole. The displacement of small business government vendors and the resulting job losses will limit economic growth and burden both the Federal and State governments with lower income tax revenues and increased unemployment, social safety-net costs and other costs. Most important, however, is the economic cost to the U.S. economy, especially as the economy is struggling to recover from staggering unemployment and the recession, from which many believe we have not yet recovered. Federal Strategic Sourcing (FSSI) has made a few ‘winners,’ but created substantially more ‘losers.’ The winners got the business, and the losers lost the business and suffered the consequences of lost revenues that they previously relied on to pay their bills and employee salaries. In the short term, the process typically results in savings for the business. In the long term, this artificial shrinking of the supply pool decreases competition and can even lead to increased prices. This is the dirty side of the strategic sourcing, "the dark side". In the private sector, when prices begin to climb back up, a large company will just reopen the bidding and start the strategic sourcing process all over again. The practice can seem unfair and some businesses that lose out on those few contracts may be forced to shut down, but “that’s life” in the private sector. However, in the public sector where government policies are first required to “do no harm”, the displacement of small businesses and the resulting job losses are irreversible. The FSSI losers are left to either downsize or close their doors entirely. In effect, the industrial base of small business federal and state government vendors may be decimated while the governments tout "savings". It is my contention that the public government sector has ignored that the ultimate cost to taxpayers may increase if contractors are put out of business, since unemployment costs and other social safety - net program costs will rise. All of these long-term burdens on the taxpayer make government-run Strategic Sourcing Programs, "Penny-Wise but Pound Foolish".